The growth rates of some animals has doubled, crowding out less resilient species. As global temperatures rise, an alarming study released yesterday revealed that the Antarctic seabed could be far more affected than previously expected. During a nine-month experiment, researchers with the British Antarctic Survey heated a patch of sea floor off the coast of Antarctica using a set of 12 identical heat panels and found that the growth rates of some marine animals doubled. A 1.8 degrees Fahrenheit increase in temperature made colonizing moss animals and undersea worms more dominant, crowding out other local, less resilient species that help support the entire ecosystem. At a 3.6 degrees Fahrenheit increase, growth results varied greatly among species, suggesting that the shock of warming seas can leave many species starving. The results surprised the scientists, who were originally skeptical of finding any drastic changes. Earlier this year, the Antarctic hit a record high of 63.5 degrees Fahrenheit, according to the United Nations weather agency. Concerns grew in July after an entire ice shelf, called the “Larcen C,” collapsed into the sea. 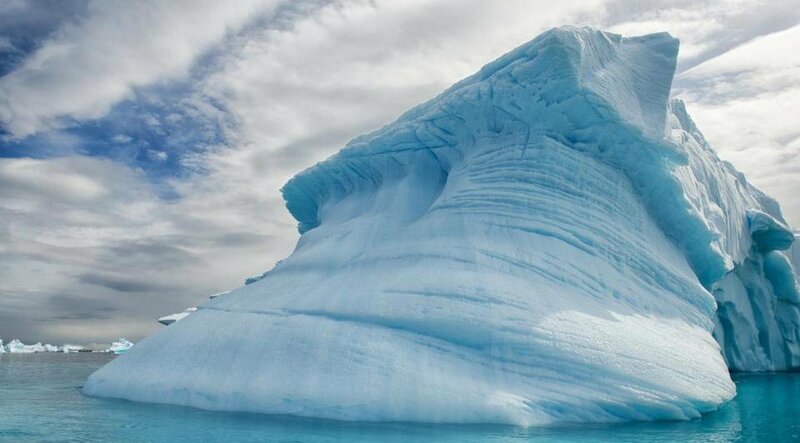 Antarctica holds an astonishing 90% of the world’s fresh water — in the form of ice. If it were to melt in its entirety, sea levels would rise by 200 feet. Over the last 50 years, climate change has also slowly turned the continent green. A study, published in Current Biology, found increased growth of surface moss. As surface moss increases and ice decreases, the area absorbs more heat. Scientists also suggest that the growth is likely to increase as the area warms, a trend that could become more prominent on the sea bed as well. Researchers agreed that further long-term studies like the ocean floor experiment should be conducted, but said that the trend was already clear: heat-trapping gases like carbon dioxide can have the biggest impact on marine beds near the poles.